Brain Morphometry refers to a technique for comparing the sizes of different structures in the brain. 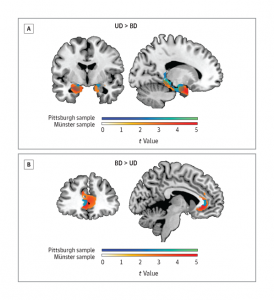 A new study suggests that using MRI scans of brains it is possible to distinguish between bipolar and unipolar depression with some degree of accuracy (70 – 80% accuracy). The study looked at two separate groups of patients, one from Munster, Germany and one from Pittsburgh, Pennsylvania. 58 patients with unipolar depression were compared with 58 patients with bipolar depression and 58 normal controls. Overall, the study found that bipolar depression was associated with reduced grey matter in the hippocampal formation, amygdala and thalamus. 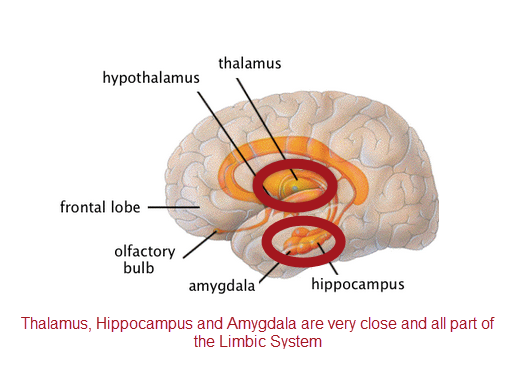 See the picture to the right for a view of these parts of the brain which are all parts of the limbic system. Three studies previously showed that the responsiveness of the amygdala to emotional stimuli differentiated bipolar and unipolar depression. Unipolar depression was associated with reduced grey matter in the anterior cingulate gyrus. 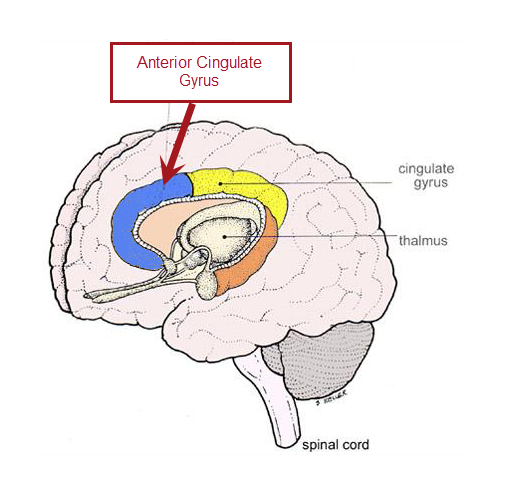 The anterior cingulate gyrus lies immediately above the limbic system and, not surprisingly, has been associated with the cognitive processing of emotion. In particular, reductions in anterior cingulate gyrus functioning has been consistently associated with reduced ability to deal with negative ruminations about the self. Hence the finding of reduced grey matter in this area in patients with unipolar depression makes intuitive sense. In summary, this study adds to evidence that bipolar depression involves reduced functioning in the amygdala that may relate to a reduction in the ability to respond appropriately to expression of emotions in others. Unipolar depression seems to preferentially involve a reduction in the parts of the brain that manage negative self appraisal. Brain Morphometric Biomarkers Distinguishing Unipolar and Bipolar DepressionA Voxel-Based Morphometry–Pattern Classification Approach. Ronny Redlich, MA1; Jorge J. R. Almeida, MD, PhD2; Dominik Grotegerd, MSc1; Nils Opel1; Harald Kugel, PhD3; Walter Heindel, MD3; Volker Arolt, MD, PhD1; Mary L. Phillips, MD, MD(Cantab)2; Udo Dannlowski, MD, PhD1,4 JAMA Psychiatry. 2014;71(11):1222-1230. doi:10.1001/jamapsychiatry.2014.1100.